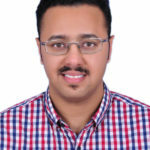 Ghanim is the founder of Era’s Challenge Company. The newly founded Kuwaiti based company aims to send payloads from Kuwait to the lunar surface starting from 2019. The first payload is going to be passive payload for the pride of the country, while later payloads will have research and development objectives in the field of photovoltaics. The company also plans to organize a space outreach campaign in the country. As part time jobs, Ghanim is supporting a research about perovskite solar cells in Kuwait University and works as a physics teacher. The research is about investigating ferroelectric behaviors in perovskite solar cells. In addition, Ghanim is the Middle East Regional Coordinator of the Space Generation Advisory Council (SGAC). As a member in SGAC, Ghanim is the event manager for the Space Generation Moon Village (SGMV). The aim of SGMV is to identify commercial, engineering and scientific opportunities for developing and non-space faring countries to contribute on the Moon Village. Ghanim has a truly multidisciplinary background. He worked in the oil industry for 6 years as a Well Surveillance Engineer. His work involved surface well testing and slickline operations. As he resigned in 2015, Ghanim did his master thesis in Fraunhofer ISE in the field of photovoltaics. The thesis was about optimizing a solar simulator to measure up to six junctions’ solar cells with larger areas. Ghanim was an active space enthusiast since he was an undergrad. He was involved on many activities related to establishing a space program in Kuwait. For example, Ghanim was the event manager of Space Generation [Kuwait]. This event aims to encourage the youth to reflect their ideas about establishing a space program in Kuwait. Ghanim performed an initial plan to launch a CubeSat with capacity building as a primary goal for the mission. This proposal plan was submitted under the umbrella of Kuwait University to obtain funds for the project. Beside space activities, Ghanim also has an interest on astronomy. With his 12” Schmidt Cassegrain telescope, Ghanim perform a research project titled “Observing and Measuring Visual Double Stars”. Ghanim Holds a master’s degree in photovoltaics from Freiburg University, and a BSc degree in Mechanical Engineering from Kuwait University. He has a graduate certificate in astronomy from Swinburne University and a graduate from the Space Studies Program from the International Space University. Hannah Blackburn was raised in the Research Triangle region of North Carolina. Hannah studies astrobiology at the Florida Institute of Technology, the first and only American university to offer an astrobiology undergraduate degree program. Hannah’s research is focused on in situ resource utilization (ISRU), the use of local materials by spacecraft and for human space exploration. Martian regolith is one such resource, and its potential as a growth substrate for agricultural use is being explored by the Research to Advance Interstellar Horticulture (RADISH) project at the Aldrin Space Institute. Hannah also studies the effects of microgravity on plant-microorganism interactions such as genetic transformation of the model plant Arabidopsis thaliana through the plant-pathogenic bacteria Agrobacterium tumefaciens. Hannah has prior experience in human space exploration simulation and mission design from the Johnson Space Center’s International Air and Space Program. Through the Florida Institute of Technology chapter of the Astrobiological Research and Education Society (ARES), Hannah engages in public science outreach. As a member of Florida Tech’s Student Astronomical Society, Students for the Exploration and Development of Space, and Society of Physics Students, Hannah mentors underclassmen. Maria grew up in Hanover, Germany and graduated with an M.S. in Aerospace Engineering in 2016 from the Technical University of Munich, Germany. She spent one semester at ISAE SUPAERO, in France and wrote her master’s thesis at the Florida Institute of Technology in the USA. She has been involved during her studies in a student working group for rocket science working on the mechanical design of a 1U CubeSat. As a team leader, she developed a sounding rocket experiment which flew in 2015 on REXUS 18 from Kiruna, Sweden. Maria participated in several space mission design competitions and workshops such as Space Station Design Workshop and RASC-AL from NASA. She won the DLR standout student scholarship in 2015. After her studies she was working two years for the European Space Agency (ESA) in ESTEC in the Netherlands as a Young Graduate Trainee. She was working one year in the office of the Inspector General for independent assessments and project reviews where she gained insight about the review process and tender evaluation boards at ESA. In her second year, she joined the Guidance, Navigation and Control (GNC) section where she earned experience as a technical officer for an activity about neural networks from the university of Bucharest together with GMV Romania and worked on a human mission to Mars where her focus was on trajectory optimization for entry, descent and landing. In her time at ESA she became a core member of YoungESA a network for young staff at ESA and organized several events for its members. 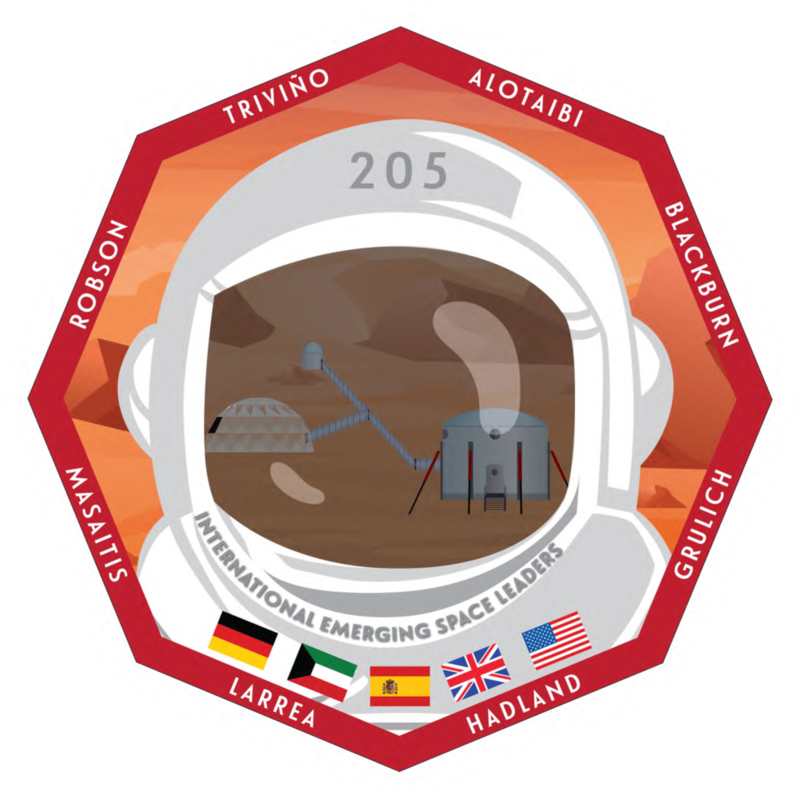 Currently she is working at German Aerospace Center (DLR) in Cologne, Germany as an ISS payload operations engineer for the BIOLAB rack inside the European Columbus module. Part of her work is to support new biological experiments from the operations point of view and to be on console as part of the Flight Control team for maintenance and experiment operations of BIOLAB. 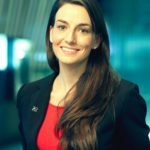 Besides her job Maria engages herself in Space Generation Advisory Council (SGAC) as her passion is space and SGAC connects space people around the World and shows the way to overcome borders. She is acting as the scholarships coordinator since February 2017 and leads there the scholarships team with three members which is responsible for over 80 scholarships throughout the year. Nathan Hadland is a student at Florida Institute of Technology pursuing a Bachelor of Science degree in Astrobiology with a minor in Physics. He began scientific research in his freshman year in a planetary science lab, conducting atmospheric simulations of Neptune’s Great Dark Spot (GDS-89). Since then, he has been a co-author on several different conference abstracts and will be the first author on an upcoming publication on simulating GDS-89 using a new microphysical model. The following semester, he added Research to Advance the Development of Interstellar Horticulture (RADISH) to his research portfolio, which investigates sustainable, in situ, food productions systems by growing plants in Martian regolith simulant. RADISH also involves developing agricultural robotics to cut astronaut crew time spent on food production, a project that is done in conjunction with the Kennedy Space Center. 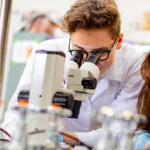 The publicity for this research largely comes from the Astrobiological Research and Education Society’s charter chapter at Florida Tech, for which Nathan serves as vice president. Additionally, Nathan spent the summer of 2017 at the University of Tennessee for an NSF REU program in microbial ecology, which focused on the growth kinetics of heterotrophic bacteria over long periods while in co-culture with the toxic cyanobacteria, Microcystis. 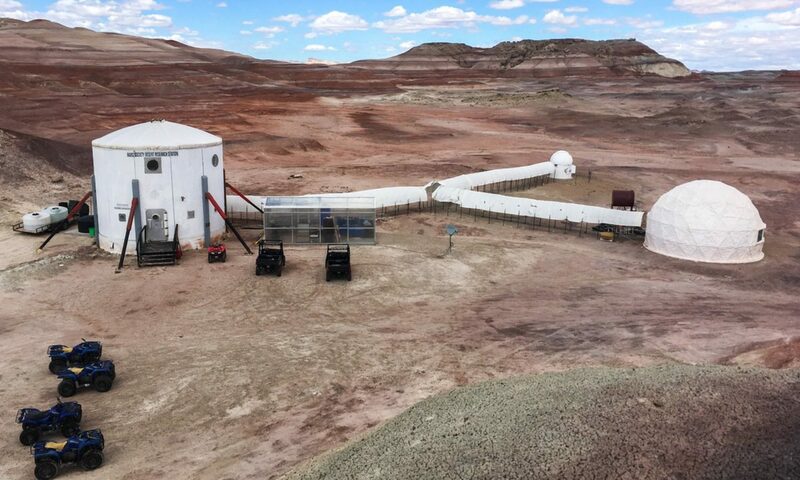 In the summer of 2018, Nathan worked at the Johnson Space Center with the Astromaterials Research and Exploration Science laboratory and the Lunar and Planetary Institute (LPI) where he used experimental petrology to constrain fluid:rock chemistry on Mars through acidic, hydrothermal dissolution of phosphate-rich and phosphate-poor basalts with implications for the Stimson Formation in Gale Crater. This upcoming summer, Nathan will be conducting research at a NOAA’s Earth Systems Laboratory in Boulder, Colorado where he will be working on unmanned aerial systems in the Arctic through the NOAA Hollings program which provides tuition assistance and an internship. In the near future, Nathan hopes to go to graduate school to pursue his PhD with the hopes of working in research at NASA, a non-profit, or another governmental agency in the realm of planetary science with an ultimate goal of becoming an astronaut. Natalia currently works as a Senior Consultant based in Montreal (Canada) managing and contributing to research activities and consulting missions for government and private organizations. She focuses on the assessment of government programs, new technologies and the strategic analysis of industrial and commercial space markets. Prior to that, Natalia worked as a Systems Engineer at MDA Corporation where she specialized in the design of satellite payloads, supporting the business development proposal team for a variety of international clients. In addition, she worked as a research associate at NASA Ames in the field of planetary exploration. Natalia became the first Spanish female to participate in the NASA Academy program. program. Moreover, she worked as trainee at the European Space Astronomy Centre (ESAC) in the field of infrared astronomy within the Herschel Space Observatory team. Natalia was also the president of the NASA Academy Alumni Association (NAAA) from 2016-2017. She was responsible for the strategic planning and implementation of existing and new projects and initiatives for the association and served as liaison to NASA Academy Directors and management. Natalia holds a Master’s in Aerospace Engineering from McGill University, a Bachelor’s and Master’s in Telecommunications Engineering from Universidad Alfonso X El Sabio (Madrid, Spain) and a Diploma in Astronomy and Planetary Science from the Open University UK. She is also a graduate of the International Space University (ISU) Space Studies Program. She is recipient of numerous merit and academic awards, including the “35 under 35 Space Industry Award 2018” of the International Institute of Space Commerce (IISC), Satellite Society Professionals International (SSPI) scholarship award, La Caixa Fellowship, and Accreditations for Excellence awarded by the Government of Madrid, amongst others. Dave was born in 1983 and spent most of his childhood growing up along the Outer Banks of North Carolina. He was an avid outdoorsman and naturalist, constantly looking out to sea, and upwards towards the sky. He attended Space Camp three times between 1995 and 1997, and that lasting impression would resurface later in life. He graduated Oakton High School in Northern Virginia in 2001. Dave served in the US Army from 2002 to 2013, carrying out duties over a decade in Air Defense, Army Aviation, and later the Cavalry. He served in support of NATO operations in Afghanistan on two occasions; first in 2007 as a UH-60 Maintenance Section Leader and Downed Aircraft Recovery Team (DART) Leader, and again in 2010-2011 as a Scout Section Leader. His military education includes the Airborne School, Sniper School, Primary Leadership Development Course, Advanced Leadership Course, Army Combatives Instructor Course, Javelin Missile Instructor Course, among others. 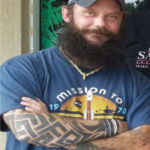 After leaving the Army in 2013, Dave spent a couple years as a certified gunsmith, before enrolling in Daytona State College in 2015 to study Marine Biology. While enrolled, he researched novel approaches to capturing dolphin vocalizations, before transferring to the Florida Institute of Technology in 2016. Upon arrival, he declared a double-major in Astrobiology, and served as the Founding President of the Astrobiological Research and Education Society (ARES) until the Spring of 2018. After stepping down from the board, he assumed leadership of the ARES Agricultural Robotics Team, where he presently remains. 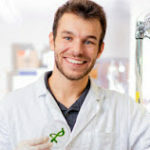 He is otherwise leading research in Recirculating Integrated Multi-Trophic Aquaculture (RIMTA) systems, intending to create a self-contained sustainable solution for food production on long-duration space exploration expeditions. Dave is a member of the Astrobiological Research and Education Society, Pi Lambda Phi Fraternity, the Planetary Society, The Mars Generation, the 82nd Airborne Division Association, the Army Sniper Association, and the Veterans of Foreign Wars. Daniel is from Newcastle-upon-Tyne in the North East of England, he grew up in Gateshead and went on to study at the University of Leicester. Described by others and admitted by himself as being “incredibly British” (although privately is ashamed to have only a small Geordie accent), he is excited to test his crew leadership experience, EVA navigation techniques and medical drills at MDRS as well as use his experiences as part of Crew 205 for science communication upon his return home. He says his biggest concerns about living on Mars for two weeks will be “the safety and well-being of his crew mates, making sure he gets enough postcards written, packing enough tea and making sure he can get through security with a couple of tins of beans”. He holds a BSc in Physics with Space Science & Technology and a MSc in Space Exploration Systems from the University of Leicester, with part of his Masters taking the form of a 6-month international placement as part of the Space Exploration and Development Systems (SEEDS) course. He now currently works as a Space Medicine Education Intern at the European Astronaut Centre in Cologne, Germany. His role here primarily involves helping organise and carry out workshops aimed at medical professionals, interested in researching or joining the aerospace medicine field, as well as developing the team’s IT capabilities. As part of SEEDS X he was part of the team of 39 students from 3 different universities and visited sites across Europe to work on the project including Politecnico di Torino (Italy), ISAE Supaero (France), ESA’s ESTEC (The Netherlands) and the University of Leicester (UK). 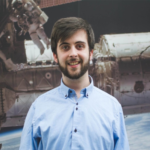 In his spare time Daniel is heavily involved in outreach projects and is a Senior Mentor for Space School UK (held at the University of Leicester), which he attended as a student twice as a teenager. He says Space School is probably responsible for opening his eyes to the chance to study space related courses at University and for inspiring him to work with children to get them interested in STEM subjects too. He was the Social Secretary for his University’s Astronomy and Rocketry Society and frequently organised outreach trips to local schools and clubs with students to make liquid nitrogen ice cream or help them build chocolate protecting satellites. He also was a English Language Coach for Camp Europe in Germany one Summer. After the mission and completing his internship he is looking forward to moving back to Britain to hopefully find a job in Education, using his experiences and science qualifications to help kids and members of the public gain an appreciation and respect for STEM subjects using space exploration as an interdisciplinary and inspiring theme. 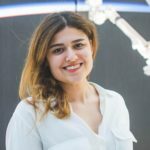 Verónica currently works at the European Space Agency’s ESTEC centre (Netherlands) on the ESA-led HERACLES mission which aims to send a rover to the Moon by 2026 and bring samples back to the lunar gateway. She has recently finished her MSc in Space Exploration Systems from the University of Leicester (UK). During this masters, she participated in the 10th edition of the SEEDS (SpacE Exploration and Development Systems) project, which is done in partnership with two other universities; Politecnico di Torino (Italy) and ISAE Supaero (France). The conclusion of this six month project was a phase A feasibility study for a conceptual mission to set up infrastructure on the lunar surface in order to create propellant from in situ resources. One of her main roles on the project was to help design the crew habitat. More specifically, Verónica worked on Human Factors engineering, as well as crew surface operations. Verónica also holds a bachelor’s degree (BEng) in Aerospace Systems Engineering from Coventry University (UK). 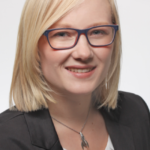 During her bachelor’s, she undertook a year in industry, where she worked as a flight dynamics software engineer for SCISYS in Darmstadt (Germany). During this time, she helped develop the mission analysis software Pleniter, which will be utilised in, among other missions, the world’s largest constellation of satellites. Verónica has partaken in several space-related educational workshops. She attended the 2014 ISSET (International Space School Educational Trust) Astronaut Leadership Experience in Washington D.C. (USA) where she visited NASA centres and took part in leadership exercises guided by astronauts. She was also selected for the 2017 ESA-organised Alpbach Summer School (Austria) in which she worked in a team of 15 people to design a space mission concept in ten days. Whilst at the 2018 ESA Training Course in Redu (Belgium), she attended lectures to learn about Standardisation in the space industry. Fair in Birmingham (UK), giving talks about science subjects and doing experiments for young children. In the future, Verónica hopes to work on large scale planetary exploration missions and help put humans on the surfaces of the Moon and Mars.